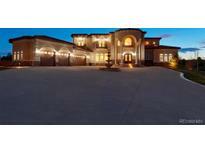 Find Castle Rock, CO Homes for sale. View Photos, Maps and MLS Data Now! Puma Ridge - There’s no mistaking this residence as the new benchmark in luxury living. MLS#4126976. LIV Sotheby's International Realty. Castle Pines Village - Fantastic Ranch Home Built by Infinity Home MLS#8525628. COLDWELL BANKER RESIDENTIAL 24. The Meadows - The home was inspected prior to listing and has a 1-year home warranty! MLS#7973475. KENTWOOD REAL ESTATE DTC, LLC. The Meadows - Better than new, WON'T LAST! ! MLS#5327704. Realestators Inc.
You don't want to miss this beautiful home! MLS#5512770. COLORADO LUXURY REALTY LLC. Villages At Castle Rock - Walking Distance to Award Winning Schools, Community Swimming Pool, Tennis Courts, & Hiking Trails! This Home has it All! MLS#5529624. HomeSmart Realty Group. Castlewood Ranch - American Home Shield home warranty also provided. MLS#8555462. COLDWELL BANKER RESIDENTIAL 18. Very Well Maintained! No HOA's, No Covenants! MLS#3751452. RE/MAX Alliance. This Walkout Ranch Sits on 5.9 Acres w the Most Beautiful Meadow & Useable Outdoor Living Spaces such as: Outdoor Kitchen, Composite Deck w Plexiglass Railing for the View, Flagstone Patio w Pond & Koi, Covered Patio, Yard w Playset & Horseshoe Pits*Indoors is an Open Floorplan w Large Gourmet Kitchen Perfect for Entertaining -Granite Tops, Double Ovens, Microwave, Trash Compactor, Ice Machine & Beverage Fridge* While Away Hours in the Open Sun Room taking in the Mountain Views, Fabulous Sunsets & Every Changing Skies*Don't Miss the 5 Car Garage*The Master Suite has a Custom Closet which Connects to the Laundry room*The Secondary Main Flr Bdrm Serves as the Study*Lower Level has a Huge Open Family Room which can be Divided into Multiple Spaces*Two Nice Sized Spare Bedrooms & Full Bath Complete the Package*Located in a Culdesac-Perfect Lot for Horses or the Car Enthusiast* Room for 2nd or 3rd Outbuilding*Circular Drive MLS#9060861. Keller Williams Action Realty LLC. Castle Oaks Estates - Amenities, parks & trails minutes away! Great opportunity. MLS#3888253. LIV Sotheby's International Realty. This means the values continue to increase year over year! MLS#2884799. Compass Colorado. Plum Creek Fairway - This is a rare, must-see find! MLS#7963091. Woodleaf Realty Co.
Showings start Friday 4/26 at noon. MLS#8059240. Keller Williams DTC. The Meadows - Great location backing to Bison Park and local elementary school, just steps to Ridgeline Trail, & mins to shopping/dining. MLS#3368918. Redfin Corporation. This community with swimming pool and many amenities that cater to an outdoor lifestyle is convenient to Parker as well as Castle Rock. MLS#6898195. Coldwell Banker Residential 44. Crystal Valley Ranch - Backs to open space! See this one today! MLS#9704879. MB Hillman Real Estate. (Seller is Licensed Real Estate Agent in CO.) MLS#5331975. Switch Real Estate LLC. Close to the elementary, middle and high schools! MLS#6454691. RE/MAX Professionals. Enjoy the community pool and clubhouse this summer! MLS#2513746. RE/MAX Masters Millennium. Rare Ranch w/Finished Walkout in The Woodlands Bordering Escavera*Natural Private Setting*Gamble Oak*Fantastic Views of Castle Rock, & Mountains*4 Bedrooms, 4 Bathroom*Gorgeous New Acacia Wood Floors throughout most of the Main Level*Open Floorpan*Main Floor Study w/Double French Door & Bay Window*Formal Living & Dining,New Modern Chandelier's*Updated Lighting Throughout*3 Way Fireplace*Double Ceiling Fan in Family Room*Picturesque Windows w/Undeniable Views of Castle Rock & Mountain Range*Kitchen features Curved Island w/New Sink,Granite Countertops,42 inch Cabinets,Built in Desk,Pantry,Nook are w/Bay Window to Enjoy your Coffee & Take in the Views*Door to Sprawling Double Deck*Master Bedroom, Bay Window, 5 pc Bath,Walk in Closet*Additional Bedroom on the Main w/Ensuite Bath*Walkout,Wet Bar,Wine Closet,Wine Refrigerator,Rec Room,Enclose Room for Media,2 Additional Bedrooms w/3/4 Bath*3 Car Garage*Trails*Biking*Close in, feels like Colorado Living*Walk to School,Recreation Center. MLS#2538217. RE/MAX Alliance. Come see this amazing home before it goes! MLS#1772882. RE/MAX Alliance. Bell Mountain Ranch - A unique deck adjacent to the kitchen, wonderful for entertaining, family gathering, or just enjoy the beautiful outdoors of Colorado. MLS#8062632. COLDWELL BANKER RESIDENTIAL 24. Castle Ridge Estates - Impeccably finished with wetbar, movie equipment, fireplace, exercise room & 2 more bdrms (1 non-conforming) w/Jack & Jill bath. An entertainer's dream! MLS#3118571. COLDWELL BANKER RESIDENTIAL 56. Great location close to shopping/dining, hiking and parks. MLS#5972191. Redfin Corporation. Easy in and out access and close to excellent shopping and dining. MLS#8006593. LIV Sotheby's International Realty.